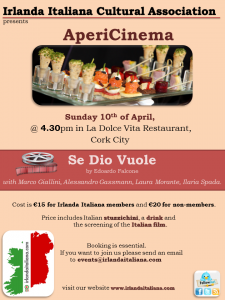 on Sunday the 1oth of April @ 4.30pm in La Dolce Vita Restaurant, Cork City. This AperiCinema will allow you to enjoy a hilarious Italian comedy (with English subtitles) followed by some genuine and tasty homemade Italian food. 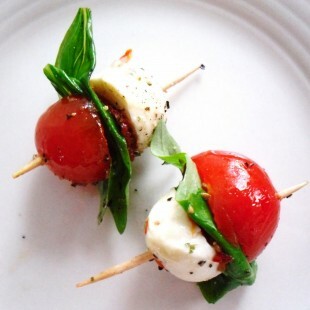 Cost is €15 for Irlanda Italiana members and €20 for non-members. New members are welcome to join our association on the day and this membership will allow you to avail of this and other promotions in the coming months. 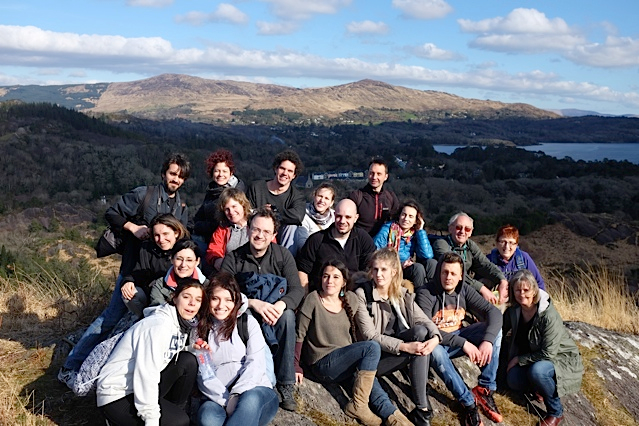 If you want to join us, please send an email to info@irlandaitaliana.com or events@irlandaitaliana.com. Se Dio Vuole – is a 2015 film that won Best New Director for Edoardo Falcone at the 2015 Italian Oscars and tells the hilarious story of an atheist surgeon with a God-complex, a charismatic priest, a dysfunctional family and an announcement that takes everyone by surprise! Tommaso (Marco Giallini) is a successful, respected surgeon who also happens to be conceited, proud and arrogant – and a staunch atheist. However, Tommaso’s pedestal is set to be removed from beneath him when his only son Andrea brings the family together for an entirely unexpected announcement: he wants to become a priest! Tommaso refuses to accept this newfound Catholicism and is further horrified when his wife Carla and daughter Bianca undertake a renaissance-of-sorts themselves. A string of hilarious situations ensues as Tommaso goes undercover to investigate and bring down the charismatic priest Don Pietro (Alessandro Gassman) who he believes “brain-washed” his son and caused upheaval in his family.